Enjoy his interview with Daniel Rahuvarm. 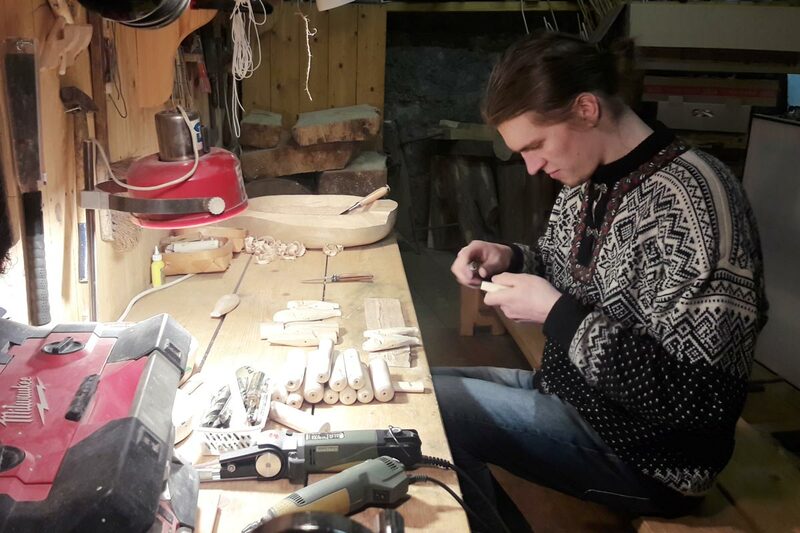 If you happen to spot a young man walking around Tallinn – or his home town of Haapsalu – wearing a wood carving around his neck which turns out (upon closer examination) to be a whistle – then that’s probably Daniel. You see, Daniel has a thing about whistles. 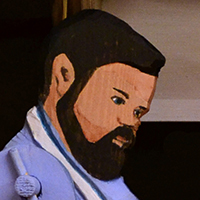 The rest of us probably do as well – the only difference is that we’ve just forgotten everything that Daniel still remembers. Whistles, after all, have been with us since the beginning of human time. Who can say how our first human ancestors used whistles to communicate with each other as there are no records from that time. What we can say is that whistled languages have survived on every inhabited continent – especially in places still considered to be remote or isolated – where whistled speech serves as an ideal way to “talk” over long distances or across rough terrain. While various cultures once used whistles to communicate with the spirit world, early Taoists engaged in a kind of transcendental whistling (changxiao). People around the world have always believed that there are a fortunate few who have mastered the mythical language of birds. Odin, after all, collected reports from his ravens Hugin (Thought) and Munin (Memory) before being buried – according to one legend – on Osmussaare off the Estonian coast. And St Francis of Assisi – the patron saint of animals – is most closely identified with birds to whom he preached a sermon about God’s love in Italy’s Spoleto Valley. And, of course, the very first musical instruments we know – made over 30,000 years old – are bone flutes which produced a complex range of whistles that were transformed into music and helped set human creativity free. While flutes and whistles made from wood and other more fragile materials may have been made even earlier, none have survived to the present day. Without doubt, whistling is an inextricable part of what makes us human. Although most of us no longer whistle, our language remains filled with whistle idioms: when we have a drink, we wet our whistles; when we go “all out,” we put on our bells and whistles; when we report on someone, we blow the whistle: when someone is innocent, they are as clean as a whistle; when we fail to change something, we whistle in the wind; and we could whistle on and on. We once used factory and ship whistles to mark time while kettles whistled to let us know that the water had boiled. Today, referees still use whistles to help us regulate our games while the police use their whistles to grab out attention. And let’s not forget the dog whistles we still use to call our canine friends – the first animals that humans domesticated perhaps 30,000 years ago. Coincidence? So, Daniel understands whistles and the fascination they still hold. 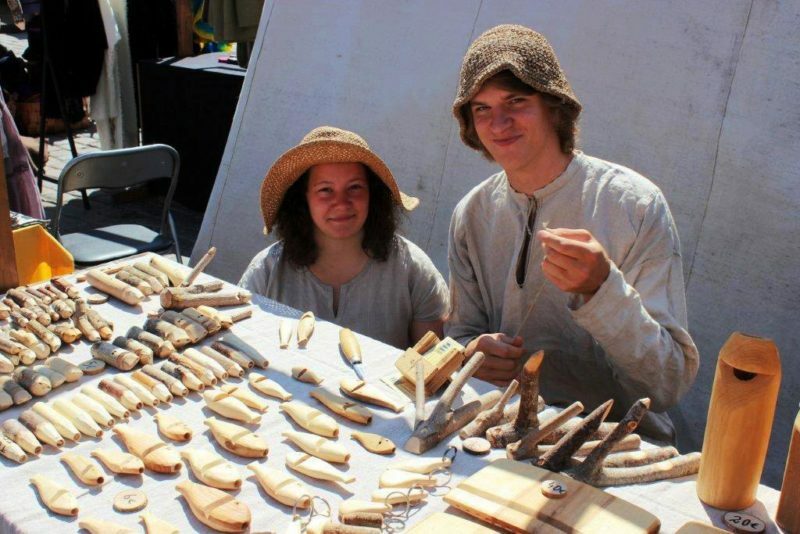 Indeed, Daniel makes all kinds of whistles including a simple one carved from a branch which makes but a single sound. If you want something more complex – say a double whistle or a whistle with multiple stops to produce a three-note scale – well, Daniel makes those whistles as well. He even makes complex wooden whistles – pipes – out of wood blocks or branches which might even resemble the very first human instruments. Daniel believes that “there are things which a machine just can’t make.” When I look at the lovely fish-shaped whistle I bought from him at a fair a couple of years ago, I can’t help but agree. So, I hope he continues to make beautiful things with his hands and to enjoy his life as a craftsman. And if he ever wants more attention, all he needs to do is whistle. 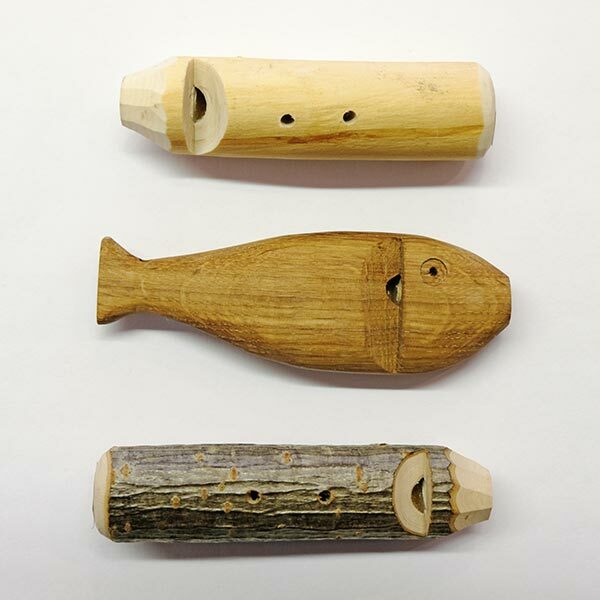 Although making whistles seems to be your calling, you make much more out of wood than just whistles. So what else do you enjoy making out of wood – and why? 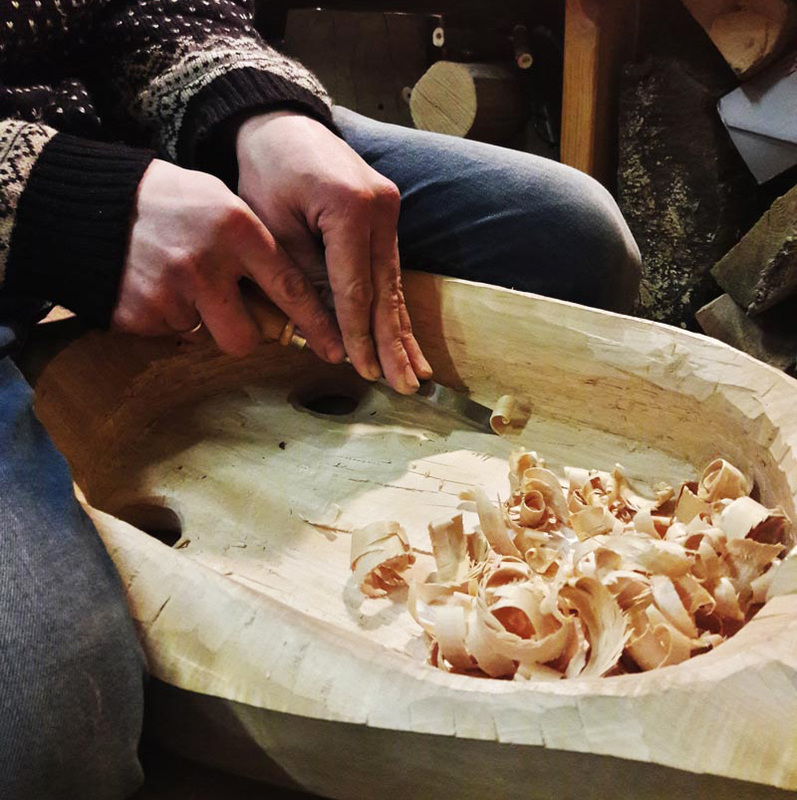 When I was younger, living in Haapsalu, I really enjoyed making wooden weapons. I started with clubs that were made from young trees. With their heavy root ends, they made real battle weapons. Those clubs became the main weapons for our eight-boy forest gang. We all competed to make the club with best possible dynamics and crush-force. After some years of clubbing, we evolved and developed long-range battle weapons – and so we mastered spear- and bow-making next. But with no enemy to fight, we were fated to move on to regular lives outside the forest. As for me, I continued to work wood, because I found I had both the skill and the interest – plus my father and woodworking teachers kept saying that I should keep at it. I made wooden bears and pigs, butter knives, necklaces, as well as fishing tackle. One day, I saw an open invitation to take part in a fair that was being held near my street and decided to try selling my work. I remember how I assembled the table with my father, using a door and various other things we could find. My first experience selling showed me that people liked my raw style and it encouraged me to assemble my first workshop in my bedroom. I started collecting wood and dried it in the attic. I received essential tools as both Christmas and birthday presents – and got some financial assistance from my father until my business was self-sustainable. I spent most of my evenings after school collecting materials and using it for my craft. I soon found out that every tree has a different grain and spent years figuring out how to bring forth its pattern through my different products just as I still do today. Some things that I do were created a long time ago and are like poems, written in our genes, in a language that is mostly forgotten. I’ve lived in Tallinn now for some time now because of school. Here, I’ve found a good partner who has hired me as a power tool repairman – this is the coolest job that I’ve ever had. After two years of learning, I started to assemble my own tools. Last woodworking season, I made a lathe out of different reused tool parts and it was a sensation. This year, I’ve prepared a whole workshop and will take it on tour around Estonia to help young people catch my incurable woodworking virus. While your work can be found for sale at the Labora Shop, you also share other connections with Labora as you work out of their carpentry shop. So, how did your partnership with Labora come to be? And what is it like working away – mainly alone – at the carpentry shop? I was selling my woodwork on Town Hall Square when Anatoli found me. Or, actually, I was walking around and he found my wife first as she was tending our stall. Anatoli told me that he had empty workshop in Old Town just waiting for a craftsman to work there. I agreed. I have worked in the carpentry shop since autumn and prepared most of my whistles there for the next season. My pop-up, travelling workshop is being built in other workshop where I have precision machinery and three-phase electrical outlets. Working alone is what I prefer, but I’m not always alone as I’m sometimes accompanied by my wife or friends. 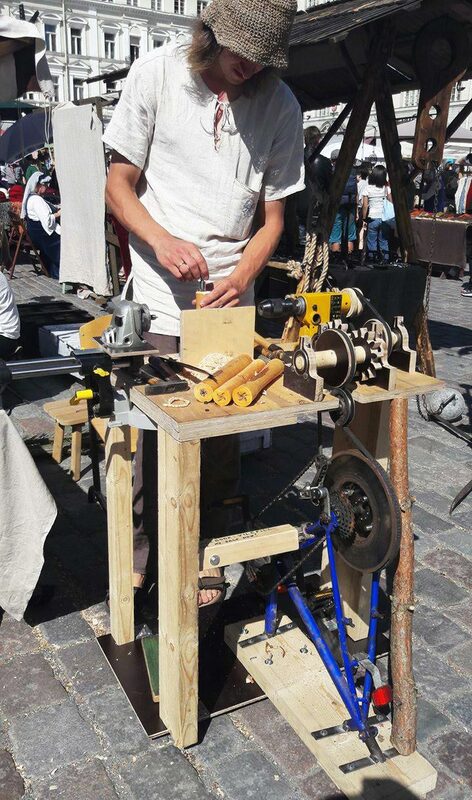 I also hope to hire a person who can take care of the woodshop while I am away at my country house or attending one of Estonia’s many summer fairs. You’ve mentioned that you like working with your hands because it gives you time to think about life. You also seem to work in parallel – working on many items at the same stage at the same time – rather than working serially on just one item at a time from start to finish. Do you find that this approach gives you more time to think about life while your hands work? Or do you find yourself thinking about different things while your hands work on each of the different stages? I do parallel work because I enjoy the smoothness of this kind of working process. I like to prepare large quantities of sticks and then release hundreds of whistles at the same time as I finish up the final step. This way of working actually started a long time ago in Haapsalu because of my family. My three sisters, my parents, and I were all living on the same floor and I liked to work in the evenings. And I needed to make around a thousand whistles every season to keep everyone satisfied. I would start a 200-whistle batch at 6 PM and finish all the noisy work by 10 PM. Quiet things took more of my time so I finished that work at night. So, making whistles in batches is more of a habit than a necessity. I’ve had many new ideas lately and found that this is taking me back to making things in smaller batches – and there are some things that can only be made one at a time. My hands are already used to working on autopilot and so I have not just a good time thinking, but I also have alternate worlds and dimensions from where I can draw lifeforce whenever I need it. Daniel’s whistles are available at Labora Shop (Vene 18, Tallinn). Explore Daniel’s website here.